Don’t put yourself in a dangerous spot by being blinded by the sun when riding your motorcycle. 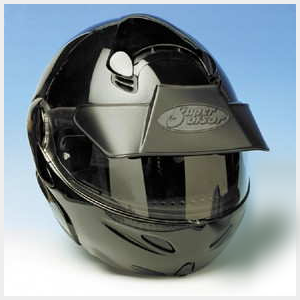 Our helmet sun visor is the perfect compliment to any motorcycle riders helmet for maximum sun shade when riding. The motorcycle helmet sun visor was developed to be a low cost solution to help avoid being blinded by the sun. This visor is an affordable proven option for all riders to enjoy. To top that it can be installed on most full face and open face helmets with a face shield.